Have you seen people light up when they take a bite of something they really like? Their eyes widen and sparkle, and they become wondrously child-like for a split-second. 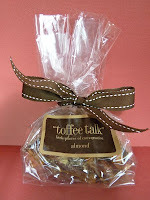 This might happen to you if you try a piece of Toffee Talk Almond Toffee -- a rich, buttery, crunchy toffee with large chunks of almond, from CJ's Toffee and Toppings (San Francisco, CA). Food with fewer ingredients really does taste better. 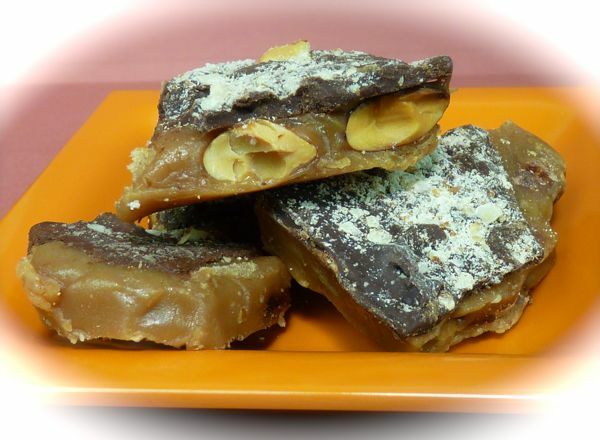 The list for this Almond Toffee: butter, sugar, almonds, chocolate and water. No preservatives or additives. Well done Toffee Talk.